When it comes to buying dorm room decor, you should get dorm accessories that have more than one purpose. This is a little trick to making dorm supplies go the extra mile, which is necessary in small dorm rooms. A tapestry is an essential college decoration, since it's so versatile! It can be used as curtains, a privacy divider, a decorative bedspread for your twin xl bed or as a fun wall hanging. There is just so much dorm decorating potential with a tapestry! A dorm tapestry should also reflect your personality and style. This Mata Ji Tapestry is perfect for any zen student. It has a calm, spiritual vibe ideal for those crazy, loud dorms! 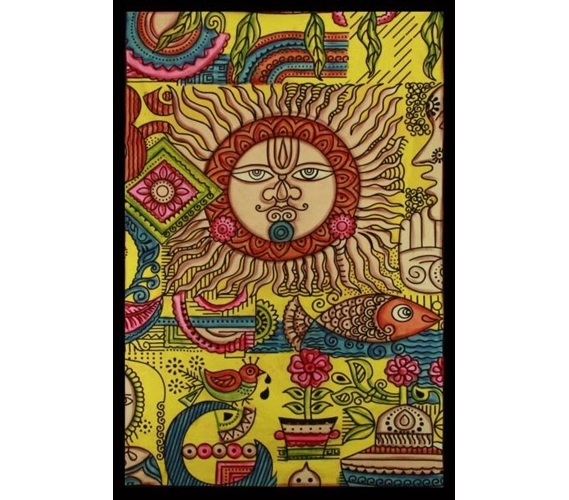 The Mata Ji Tapestry will be the perfect complement to your other dorm decor, college bedding, and any dorm decorations.